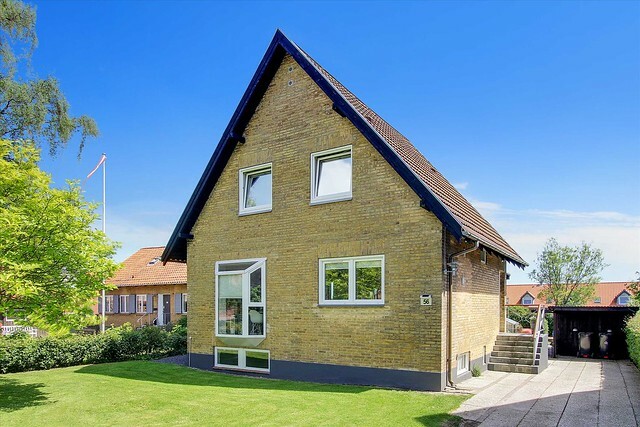 We have just completed the process of buying a house and have spent quite some time looking in to various aspects of property buying and owning in Denmark. This is a compilation of the things we have learned. Most of the links in this article will unfortunately be to pages in Danish. I have not been able to find that much information in English. There are two good websites that collect more or less all houses for sale in Denmark. They both offer you the possibility to create a user profile and get alerts when houses matching your criteria come for sale. Neither has an English interface. Get email alerts to let you know when new houses are for sale in your area. Get email alerts when houses on your watch list have an open house. You can see what a house has been sold for previously and what the reduction in asking price is. Houses sold by owner are only listed on Boliga not Boligsiden. Same goes for (very) few real estate agents. If you add a house to your “Huskeliste” (favorites) you can see how many other people have “fav’ed” it and how many people look at it. Ratings of local real estate agents, and how well they sell prices. The mantra for real estate agent are location, location, location. But there is a couple of other things you can look at in your hunt. These all follow the same standard for all houses so there will be a multitude of parameters which you can use in comparing two or more interesting houses. Here are some of the ones I would like to highlight. From the Sales Report you can see the price per m2. It is public data what the m2-price is in any area split by postcode. So by looking at the m2-price of a house you can get an idea of whether it is above or below the average for an area. This does not tell you how expensive it will be to fix the error but how critical it is to maintain the property’s integrity. For instance, often bathrooms will have lose tiles (K1s or K2s) and outside wood on the house needs painting (K2s or K3s). The electrical survey is done in a similar way. Denmark is a cold country and energy costs are a big part of having a house. All houses for sale have to have an energy rating done and you can use this to get an idea of what heating the house will cost you. The scale goes from A2020 where a 140m2 house costs 1800-3500dkk per year to heat up to G where a 140m2 house cost 26000-35000DKK per year. Compound that to 10-20 years of ownership and you can see that energy costs is a factor to consider. Roughly speaking moving one step to the left of the scale is equal to a price increase of 800dkk per m2 according to research. If you make certain energy saving initiatives you can improve your energy rating and thereby lower your costs and improve the (potential) value of your house. In the Sales Report you can see the current owners’ yearly cost of heating. This can vary greatly from the Energy Rating of the house as they might not heat parts of a house or have it colder or warmer than the norm. More and more data in Denmark is getting digitized and the public sector is making good efforts to make it accessible for free. This is to your advantage as you can find a lot of things for free and some sites make it very easy to check things. Radon level – This is on kommune level, so don’t panic. For Sønderobrg area the kommune is in a risk zone of Radon, so don’t sleep in the basement if you smoke – or measure the Radon if you do. Ground pollution (Jordforurening) – What polluting businesses have been on the plot or vicinity in the past. The house might sit on top of an old landfill (as is the case with Møllegade in Sønderborg). Risk of flooding (Oversvømmelsesrisiko) – Climate change has meant warmer and wetter climate in Denmark and that is probably only going to get worse. Avoid buying a house built in a place that used to be a bog or a meadow. Traffic noise (Trafikstøj) – At the moment this feature can only be used in bigger cities but as the data gets better this may have an impact on house prices as air and noise pollution get more focus. School rating (Skoler) – Grade averages (Karakter gns), parents net income (Bruttoindkomst) and absent rate (Gns. Fravær) might be used to give you an indication of the people in the neighborhood. Tinglysning is the public record of who is the legal owner of a property. (Enter street, house number and post code to search). You can also see which mortgages or pledges there are on the property. So you can see how much the current owner put in a mortgage at the time they bought the house. You can compare that to the “Salgsopstilling” where it often says how much they still owe on a house. Today there are a multitude of ways to borrow money for a house in Denmark. So here is the simplified version. 80% of a loan can be made as a mortgage (Realkreditlån). The rest of the borrowed amount you either have to pay as a down payment or get a bank loan (banklån). Depending on your relation with your bank they will require you to make a down payment of somewhere around 5% of the borrowed amount. The two main variety of loans are Fixed Rate Loans (Fastforrentet lån) or Adjustable Rate Mortgage (Rentetilpasset lån). What to choose depends on your risk profile, life choices and finances, so you need to talk to a professional for advice. To see what you could end up paying for different loan amounts try this Loan Calculator. The traditional mortgage model in Denmark (PDF link) is well regulated by law so you are fairly protected as long as you pay your dues. There are four mortgage institutions in Denmark: Realkredit Danmark, Nykredit, BRFKredit, Nordea. All of them are now owned by banks and the prices are pretty much the same – here’s a price guide. You can’t bargain about the interest rate but if you let your other bank business follow your mortgage you can negotiate about fees. For the bank loan bit it is all up to the bank to decide, so here the different banks will offer you different products and prices depending on how they evaluate your finances. You get a tax discount of about 33% of the interest you pay on a mortgage per year. So if you borrow 2 million fixed at 2,5% for 30 years your monthly payment is 9500dkk before tax and 7680 dkk after tax. It is quite common that there is a negotiation going on about the price of a house and unless you are buying in a red-hot market it is of great financial benefit for you to know what the market price is and how much to bargain for. The longer the house has been on the market the more likely it is that you can squeeze the price. The good thing with the publicly available data on, for instance, Boliga is that you can see how other people have bargained. In Sonderborg at the moment houses sell for 6-10% lower than the asking price. (And the asking price might have already been reduced if the house didn’t sell quick) See Actual house sales and how much they were reduced in price. Remember that the real estate agent is the “seller’s guy”. He is typically paid a percentage of the sale, so his interest is in creating a quick sale for the highest possible price. The bank “advisor” is also not there for you but to make money on you and he can be paid a commission based on what loan you chose. So do yourself a favour and either do a lot of research into the field or spend money on professional help. You only have to get professional help to sign the deed but the money is most likely well spent. – A builder/carpenter or construction technical advisor (Byggeteknisk rådgiver) can help you asses the general condition of the house and which repairs you need to plan and what they might cost. The Building Survey covers some of these areas but it does not give you a complete picture of the house. If you have a local network you can also ask around for a reputable carpenter to see if they want to consult for you. – A lawyer to write the deed but also to guide you through the legal implications of a house sale. – An independent financial advisor who can help with financial overview and explain the different loan types, help you choose the right loan and negotiate with the bank. If you are not a Danish citizen there are special rules for buying a house. In order to buy property in Denmark you need to be residing in Denmark (be in the country for at least 180 days a year). If you as a EU citizen live and work here this is just a checkbox on a form. If you are not from EU or you do not live here permanently you need a special permit from the Ministry of Justice. If you do not comply with the rules you can be forced to sell your property. So if in doubt talk to a lawyer. Notary of loans (Tinglysning) from 8,000dkk – 37,400dkk depending on current loans in house and cost of house. An example of different types of family budgets can be found here. Updated 11/2/2017: Link to budget changed as old link was dead. This entry was posted in Living in Denmark and tagged house, Moving, Moving to Denmark, property, real estate, settling by Michael. Bookmark the permalink. A very interesting subject, especially since I’m currently working on a book (in Danish) intended to help “first time buyers”. I’m curious to read more about your particular experience in Sønderborg. I imagine there are some notable differences compared to our experience in Nordsjælland, where house prices are high but job opportunities are higher as well. This is so interesting. Thanks for posting about your experience! I’ve been in Denmark about 1.5 years and we’re never going to buy a house here (only here a few years), but I find it fascinating that the process is so different from what I’m used to in the US. So do people not use real estate agents to help them with the search/buying process? Is it kind of like looking for an apartment on boligportal.com, you’re just left to your own to search? I think it’s amazing that you can get so much detailed information about a property and neighborhood, but I can’t imagine going through this process – even as a Dane, or even in my own country/city – without help! Thanks for a very informative article. 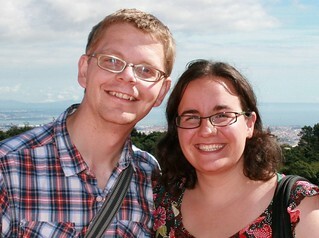 We are considering to move from London to Copenhangen with my wife and would be great if you could clarify couple things for us. How easy is it to buy a plot of land and build a house on it? Are there construction companies which can build a house for a fixed price? Hi Roman. I don’t have experience with it but I think it is relatively easy to purchase a plot of land and contract a company to build a house for you. As with all else you need to know the local legal structure and do proper research, so if you are a foreigner I would look to see if you could find someone to “hold your hand” during the process. There are not many empty plots (search for “byggegrunde til salg københavn”) close to Copenhagen – so what some people do is buy an derelict house in a desirable neighbourhood and build a new house. Some of the big companies that build houses are huscompagniet and Eurodan. The term for fixed price houses are “typehuse” – typically you would pick a basic plot and then make your own customization for additional costs. You sign a building contract before construction starts so you (should) know the final cost. Michael, couple more questions regarding mortgage and bank loan. Will any EU citizen get 15% loan from a bank or do you have to be with the bank for X year to qualify? Would this loan have different rate? Hi Roman. It is up to the banks to decide who they want to lend money to and at what rate so I think different banks will approach it differently. Your best bet is to shoot some emails at a couple of different banks and see what they say. I don’t think a requirement is that you have been with a bank for X amount of years. (Since often Danes switch banks when they buy a new house). Instead they might consider your household income, your job stability, the likelyhood that you stay in Denmark and pay your debt, your financial history and your savings. Without knowing my guess is that the banks would be a bit reluctant to loan money to foreigners. There is a 5 year old article on Copenhagen Post that describes this, whether that is still the case and whether it would apply to you I dont know. Really interesting stuff. We’re planning on moving from Belgium to Denmark and it is not easy to find out correct information. To me it is still not clear if the “180 days residence” only apply for the first year or as long as you own he house. Do you happen to know te answer? I think you are talking about that if you stay in Denmark for less than 3 months (180 days) a year you are not fully taxable here. My best guess is that that rule applies every year. Our son is planning to move to Odensee. Can you help me out with some start info? Just wanted to say thank you for writing and sharing this. I’m currently in the process of moving to DK and want to settle there to buy a house. Is Radon an issue? This is the first I’ve ever heard of this when buying a house. Thanks again! Ejerudgift pr.md – what exaclty is this? Also, if we’re planning to buy a rural home with a hectare of land – is there a land tax? I think it would be interesing to understand the commune tax etc levied. Also i see a cost to send kids to school on some of these sites? My understanding was it’s free? ps – the 2007 budget link is dead. Hi Calvin thanks for your question. “Ejerudgift pr md.” translates to “Expenses for owner per month”. It is legally required amount to state and it includes a number of the fixed expenses surround house ownership (but not all). Taxes (grundskyld + ejendomsværdiskat), fees to local home owners association if its a condo or part of a private road, fees to TV/internet association if there is such a thing, trash collection, chimney sweeper, pest control and property insurance. It does not cover mortgage/financing, electricity, water, heat and normal upkeep. Land Tax/Property value tax (Grundskyld): This is paid to the kommune and are based on the land value of the property. So yes there is a tax on land. You pay every year and it’s based off the value. For a long time different governments has tried to reform the property tax system so there could be some changes coming. Whatever the reform is it will take years/decades to be phased in, but it can impact on future costs of property tax. Daycare and kindergarten are at a cost. School is free but there is a fee for after school club called Skole Fritidsordning often abbreviated SFO. Costs are decided by the kommune (municipality). Where in Denmark are you looking at houses and schools? Prices vary quite a bit. Thanks for the note on the budget – I’ve updated the link to another site with some example budgets. The basics of buying a house in DK collected on one page. Very clear and concise information, thanks! I have a quedtion and would be great if u can answer. I have been living and working in Danmark for last 7+ years with Indian citizenship. Do I need to get authorisation from the ministry or i am allowed to buy the property here? Hi Khushwant, sorry for the late reply. I’m not too familiar with the exact rules so your best bet is to ask a real estate agent or even better a lawyer familiar with these rules. Very informative blog. Thank you so much for this content in English! Thank you for writing such an informative blog. I’m an American citizen and I’d like to purchase a house in either Copenhagen or Odense. Would you have any recommendations of law firms who can help answering my questions? I’ve not lived there so I believe the route would be more complicated for me. It is not easy for a foreigner to buy property and if you are not living here already its virtually impossible. I came across this one today where I saw recommendations for a lawyer speaking English:Ret & Råd. I am blown away by your generosity and thoroughness at writing this article. I am looking to buy a house and I was wondering if you could give me a hand for a fee. Thanks for your kind words. I am but a happy house owner that has only bought one house. I would not be comfortable taking money for advice. I would suggest you look for a professional advisor in the region you are looking to buy. Thanks for writing the helpful article! My boyfriend and I would like to move to Aarhus for work and there is just something that is not completely clear to me. Am I interpreting it correctly that the asking price is just 115.000 DKK? That is amazingly cheap, especially while there are other properties (also andelsboliger) on the market for 1.400.000 DKK. Does that mean that there is something wrong with the cheap house, because the Maksimalpris is also higher than the Kontantpris? Or how does this work? Thanks for your kind words and sorry for the delayed reply. What you are looking at there is an Andelsbolig. The concept is quite Danish/Nordic but you are not buying a property. You are buying a share in a building society. All that you own is your initial share and they don’t really change with house prices but stay more flat (in theory) “Maksimalpris” is the maximum amount you are allowed to sell your share for. “Kontantpris” is the down payment. “Boligydelse” is rent (or mortgage) payment towards the flat. But unlike a mortgage you are not “paying these money to yourself” but towards the building society. “Teknisk pris” is a calculated price/estimate of what the flat would cost if it was sold on the free, private market. Buying andelsbolig can be a good way to start as there is an easy entry with the down payment. On the other hand there are some pitfalls and horror stories of associations that have made bad decisions in their financial management causing the owners/shareholders in the association to all go bankrupt. There are many aspects to Andelsbolig that i can’t cover here, so I hope you can find better ressources out there. And if you are not familiar with he market and pitfalls find a professional til guide you. Thank you for the detailled article, it is very helpful ! Do you know how the bidding game works in Denmark ? In France, the owner legally has to accept the first offer meeting the advertised selling price, so there is not that much competition between potenial buyers. Is there any similar rule in Denmark ? As you can guess, I’ve jsut been told we were against another buyer and had to make a new offer, so I’m wondering how does the game work here ! There is no rule like that here. So even if you offer the asking price the seller can say I have someone else who is bidding more. The seller doesn’t have to pick the one with the highest offer. I’m not sure it’s the case for you but sometimes houses are sold in a Bidding Round (DK: Budrunde) here there are a set of rules to follow but in general they are not in favour of the buyer. I am an American permanently employed in Denmark since 2014. If anyone knows any banks that will finance a house purchase for me, please let me know. So far, 2-3 banks I have spoken to will not finance my purchase because of my citizenship. One said they might consider it after I obtain permanent residence, which would be next year for me. Hi Steven – I don’t have any practical advice for which banks to try. I have asked on Facebook to see if anyone has any good suggestions. Great article, thanks for sharing all this info. Some clarification needed if you do not mind: when exactly do you hire the carpenter as an advisor? before you make your first bid? After an agreement on a price has been reached with the seller? Am asking this because I can imagine a situation when you pay the carpenter for the evaluation, you ask for a price reduction because of this evaluation and then the seller will refuse it and just sell it to the next person for a higher price because this next person did not bother to hire a carpenter. And then you just end up with the money spend on a carpenter’s service and without having bought the apartment. Well that is all up to you. But making a official offer (købstilbud) is a contract you make that the seller can accept or decline at his discretion. If you back out of an offer the selling accepted you have to pay 1%. So what’s cheapest – paying a carpenter/professional 1-3 hours to review a house for you or 1% of the house in case you get cold feet? To me hiring a carpenter is your reassurance that the house is a sound purchase (the tilstandsrapport will give you an idea of that as well). I would not necessarily use the carpenters finding in a negotiate. In our case I just said “I’ll offer X amount for the house” without specifying why I came to that number and then negotiations started from there. I´m new here. Would like further information, such: Can an outsider buy a house in Denmark? What are the requirements? Is it a full payment that must be done or is it monthly (by credit?) To buy a car, requirements. To get hired in a job, what is the best top career that a person can get paid well? That is a lot of questions that are not easy to answer 🙂 Try to read the article here for housing and look for some of the answers to the other questions elsewhere. Write a comment with your questions and I’ll see if I can answer. I am not very familiar with the circumstances for non-EU citizens to come here but ask away and I’ll try and answer.